1. Represent Cliff/Cannon in the Neighborhood Council Program. 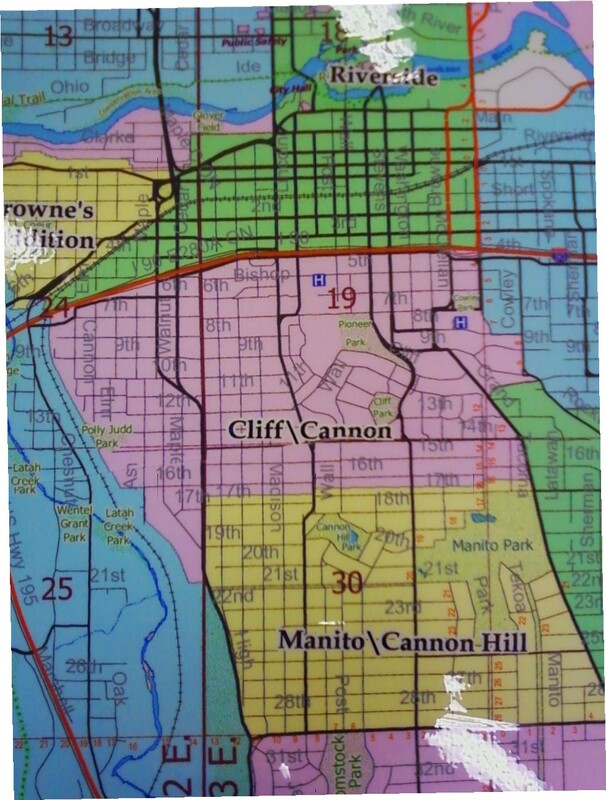 2. Review and recommend an action, a policy, or a plan to the City Council Neighborhood Committee, the City, and to any agency, commission or board on matters affecting the Cliff/Cannon Neighborhood. 3. Assist the City in determining priority needs for the neighborhood. 4. Review items for inclusion in the city budget and make recommendations relating to budget items for neighborhood improvements. 5. Undertake to manage projects as may be agreed upon or contracted with public agencies. 6. To source, secure, manage and disburse funds and/or property for projects, activities, or improvements which are outside of the Neighborhood Council Program but are for the benefit or of the neighborhood. 1. Regular Neighborhood Council meetings shall be held at least three (3) times per year between September, and May, on a specified day, at 7:00 pm at a place designated no less that two weeks prior to the meeting. 2. Special or Emergency meetings of the Neighborhood Council may be called by the Neighborhood Council Executive Committee OR by 51% of the voting members present at the two previous meetings. Any actions taken at Special or Emergency meetings shall be reported at the next regular Neighborhood Council meeting. 3. Regular and Special Neighborhood Council meetings shall be open to anyone. Visitors will be invited to participate in the discussion of matters at hand but cannot vote. 4. Only Neighborhood Council members actually present at any given meeting may vote. 5. Unless otherwise specifically defined in these bylaws all affairs of the Neighborhood Council shall be governed by Robert’s Rules of Order, current edition. 6. Sign-in sheets, as a record of attendance, must be kept for all meetings of the Neighborhood Council and a copy shall be forwarded to the City’s Neighborhood Liaison to maintain on public file, and shall be kept on file by the Membership Chairperson. 1. All meetings will be publicized in the neighborhood using whatever reasonable means that are available, for example, but not limited to: flyers, mailings, notifications in newspapers, radio, television, etc. Notice shall be distributed not less than seven (7) days prior to the meeting date. 2. Failure to receive a meeting notice does not invalidate the meeting. However, the provisions of this section must be complied with in good faith. 3. For special meetings all voting members will be notified by telephone or flyer at least one week in advance. 1. Council membership is open to anyone who lives or owns property, owns or operates a business, or is that business’ designated agent(s), in the neighborhood and who is at least 16 years of age. 2. Voting - Each person living in or owning property in the neighborhood gets a single vote. Each business also gets a single vote with the representative of that business, who votes for that business, becoming a matter of record. Each voting person must attend at least two (2) neighborhood meetings within the twelve (12) months preceding the meeting during which the a vote takes place before (s)he can vote. Council year begins June 1. 2. “Just cause” which will be debated by council members present and require 2/3 vote by those members present. Debate will be conducted in the presence of the person against whom action is being taken. Voting membership may be reestablished by meeting the membership requirements. 3. The revoking-of-membership must be proposed at one regular meeting and voted on at the next regularly scheduled meeting. 4. No member shall purport to represent the Cliff/Cannon Neighborhood Council unless authorized to do so by vote of the Council membership. 1. The Executive Committee shall be composed of five to seven members of the neighborhood, in good standing, annually elected by neighborhood members, and the chair(s) of any standing committee of the Council. Community Assembly, as directed by majority vote of the Council membership present at a given meeting. The executive may act for the Council between regular meetings on any matter determined urgent. Any such action shall be reported at the next regular meeting of the Council and none of its actions shall conflict with actions taken or policies formulated by the Council. 3. Unless so authorized by the Neighborhood Council membership, neither the Executive Team nor any officer or agent shall have the power or authority to bind the Council by any contract or engagement, or to pledge its credit, or render it liable pecuniarily for any purpose or to any amount. 1. Nominations may be submitted by a nominating committee and/or received from the floor at the March meeting. .
1. Receive all nominations for office, ensuring each nominee is a voting member of the neighborhood. This could include the recruitment of candidates. 3. Tabulate the ballot results. 4. Not make recommendations on any candidate. 3. All candidates must have accepted the nomination and currently be a qualified voting member of the Neighborhood Council. 4. Officers will be elected by majority vote of the Neighborhood Council voting members present at the next scheduled meeting (April or May). 5. (E.)The term of office shall be for one year from 1 June to 31 May. Officers may serve consecutive terms. In the event an officer fills an unexpired term of another, she/he can be elected to additional terms. 6. (F.) Voting will be by secret ballot if there is more than one candidate for office. The ballots shall be maintained for sixty (60) days by the Secretary and shall then be destroyed. 7. Meetings will be facilitated by an Executive Committee appointee. 1. Any elected officer may be removed from office for good cause. Removal shall be debated by the Neighborhood Council and shall require a two-thirds (2/3) vote of members present at a meeting of the Council, providing that a resolution proposing the consideration of the removal has been adopted at a preceding meeting and that notice of the vote for removal has been included in the call to the meeting at which the vote shall take place. 1. The Neighborhood Council (NC) has the power to create committees as needed. 2. Volunteers will be recruited from persons who are NC members or who are eligible for membership. 3. There shall be no limit to the number of members on a committee unless directed by the Council membership. 4. Committees shall report to, and may make recommendations to the NC. These reports shall be entered into the minutes. 1. These bylaws may be amended by approval by a two-thirds majority vote of those present at a regular council meeting. The resolution to amend must have been proposed at the preceding regular meeting with notice having been given as to what the proposed amendment concerns in the call for the meeting at which the amendment shall be voted upon. 2. Bylaws will be reviewed annually in the third quarter of the calendar year by a committee established as in Section 10 of these bylaws.